A strong storm on Tuesday, October 2, brought record rainfall and caused flooding in the Croatian city of Dubrovnik, according to a Floodlist. According to local meteorologists, from 05:00 to 08:00 on October 2, the city had 259.2 mm of precipitation. This is the highest rate of precipitation recorded in one day in the entire history of meteorological observations in the country. The flood turned out to be insignificant, although it caused damage to buildings and roads. 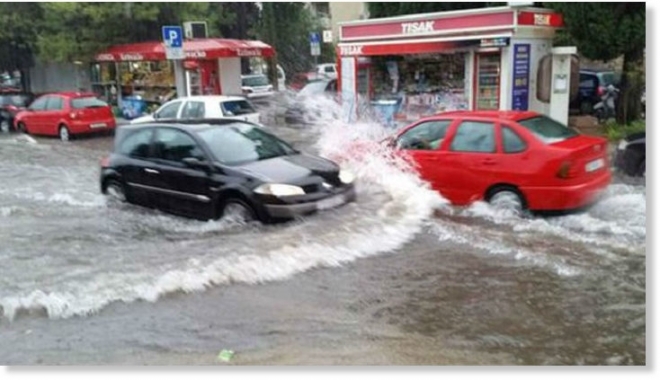 The Croatian State Agency for Protection and Rescue (DUZS) reported that rescuers carried out 68 activities for pumping flood waters and clearing debris throughout the city. Local residents were warned that flooding made the water supply dangerous for drinking in several areas around Dubrovnik.